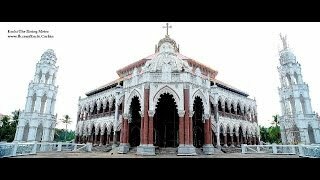 KOCHI: A petition has been filed at the Chief Judicial Magistrate, Ernakulam, against the parish priest of St Augustine’s Church, Thuravoor, alleging misappropriation of the funds collected through offerings. The petition was filed by Adv Paulachan Puthupara, who is a member of the parish council of the church. A case has been registered against parish priest Fr Mathew Edassery and two secretaries. The petitioner alleged that church authorities recorded amounts lesser than what was actually collected by way of offerings. “The average amount collected on Sundays is Rs 15,000. However, the church authorities recorded average amounts of less than Rs 1,000, apparently to reduce the 30-per cent share of the total collection that is remitted to the archdiocese of Ernakulam- Angamaly. In this way, the parish priest has ‘pocketed’ around Rs 20 lakh over the past three years,” stated the petition. It is also alleged that the records of accounts submitted by most of the parishes in the Ernakulam-Angamaly Archdiocese were fake. The petitioner also demanded implementation of the Church Act recommended by the Law Reforms Committee.